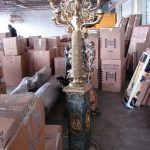 Finding the best Kingwood moving company available in the area requires knowing what one expects from their relocation company. Being up to date on training, properly insured, having valid licenses, and operating according to the regulations put in place by the Federal Motor Carrier Safety Administration (FMCSA) are necessary to be a professional. In order to protect one’s rights and belongings, only professionals should be hired. 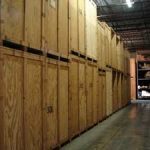 JT Melia provides long term storage solutions for clients who have to go on corporate or military assignment and need a long term storage solution until they return to Kingwood. The ideal Kingwood moving company will have experience. Looking online for customer testimonials can help provide a good idea of the type of services they provide. They should be met with positive reviews of their work over the years. JTMelia has provided their professional services for areas in and around Houston for close to 45 years. In that time, they have satisfied customers and excelled at their work. Experience is not the only thing that JTMelia offers. They provide accurate estimates by basing their quotes on the details of the relocation, like types of items and distance transported. They provide storage facilities with long term and short term options. While in these storage vaults, items are carefully wrapped to protect them from dust. This Kingwood moving company does more than simply drive from point A to point B. They manage the heavy lifting and can provide packing materials. If an item does not fit in any of the boxes available, they create a custom crate rather than allowing an ill-fit that might result in damage. Kingwood is a beautiful Houston suburb, located north of the city near Interstate 69. Interstate 69 leads right into the heart of Houston, allowing easy access to everything the city has to offer. Kingwood was created in 1971, and named after one of the main developers, King Ranch. This community is known as the “Livable Forest” due to its coexistence with the nature around it. Despite the fact that 65,000 people call this area home, there is very little crime. What can one expect when moving to the area? The community is known for its abundant flora. There are over 20 different types of trees scattered around the acreage, providing shade and beauty for residents and passersby alike. There are several nearby parks and a lake. This lush and natural setting is home to wildlife like deer, fish, and a variety of birds. There are over 75 miles of trails for hiking, biking, and walking. This community is not all nature, however, it also is a hub of commercial enterprise. The two nearby private clubs offer golf courses. Everything that a resident could desire is a part of the community, such as grocery stores, churches, schools, and entertainment. Shopping, like the Deerbrook Mall, and dining opportunities, are also abundant in this area. A business does not have to be in Kingwood to be the moving company best suited to task. It is not necessary to choose a moving company based on their proximity to this suburb. An experienced relocation business is able to organize and conduct moves no matter where their base of operations is. JTMelia is an excellent choice for a Kingwood moving company. Not only does JTMelia service the Houston area, but they are equipped to do long distance and international.